Stressed out by the idea of lathering your first editions in wood glue? Don’t fancy spending a packet on a cleaning machine? Paul Rigby offers eight easy and affordable ways to keep your records in good nick. “Oh, I can’t stand vinyl. All those clicks and hiss and noise and things.” In the majority of cases (not all, I grant you that) the source of this criticism is dirty vinyl, bunged up with so much rubbish that the poor stylus has to battle through the groove like a digitised hero in a beat’em-up computer game. If you look after your vinyl, then there is no reason why your new, quiet record shouldn’t stay quiet for many, many years. More than that, giving second hand records a thorough cleaning will drastically reduce any noise that you hear. 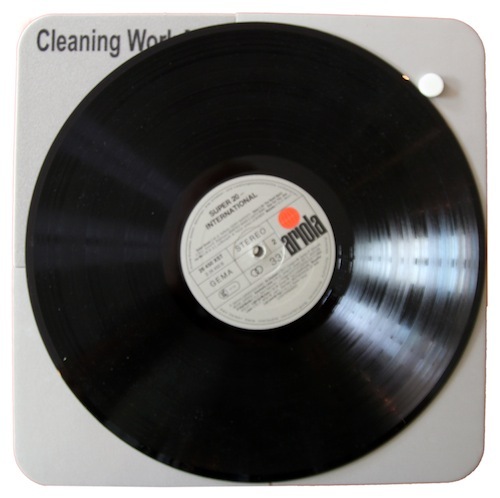 Using a record cleaning machine is the best way to clean a record but they are often prohibitively expensive. Fortunately, there are plenty of cheaper, manual methods of record cleaning that do a great job. 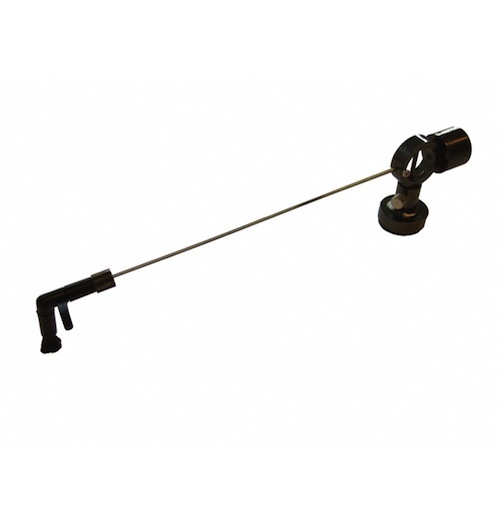 What follows is a broad selection of the different types of cleaning gadgets that you can buy. Before we get to that, though, allow me to remove a few myths. 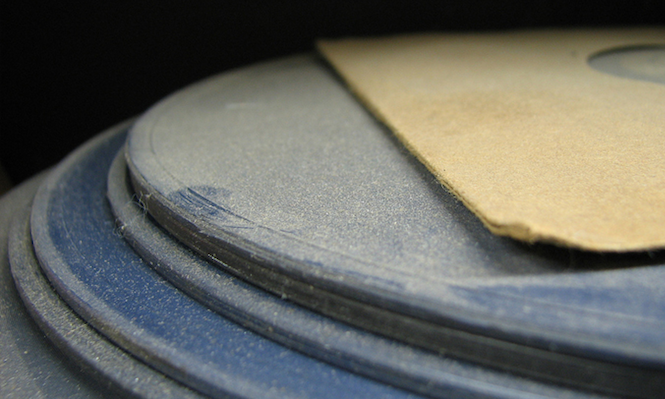 There are certain things that you should most definitely avoid when cleaning vinyl. The most contentious of the lot and one that will have a few readers and some hi-fi journalists up in arms is pure, isopropyl alcohol (as opposed to the remnants of your last vodka and tonic). This stuff can be disastrous for vinyl. The problem is, it also lies within many commercial record cleaning products, so look carefully at the ingredients before you use them. Pure alcohol strips away much of the rubbish and gunge from grooves – which is great – but it also removes the protective coating that rests on the groove walls/floor. I don’t mean the oft talked about ‘release agent’ that a record pressing plant utilises and is often left to bung up vinyl grooves, either. Once that essential protective layer is gone, music sounds harsh and brittle. I’ve done a series of sound tests to prove this phenomenon. Initially, alcohol-cleaned records sound great. After the third or fourth clean, they sound terrible. By then, though, it’s too late and your record has been irretrievably scarred. Another no-no is commercial cleaning products (i.e. sprays, liquids and the like) hanging around your kitchen. They can often attack the vinyl itself or, at the very least, block your grooves with more rubbish than they remove. Also, do not rinse vinyl under a tap. You risk damaging the fragile record label. Tap water also includes plenty of impurities which re-infect record grooves. Finally, new records need cleaning too. They are normally infested with dust – even on a micro level – plus that oily pressing plant release agent I mentioned earlier. 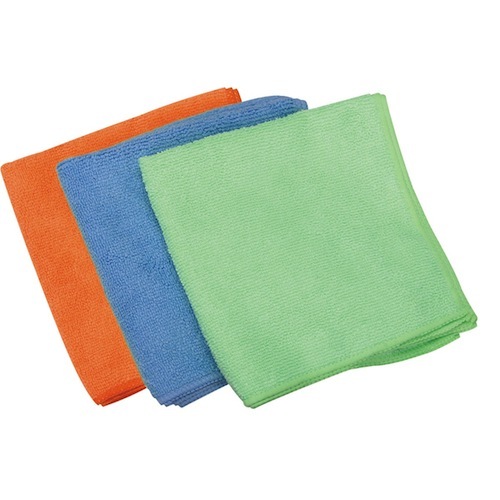 If a good quality brush is out of your budget range then take a look at a non-abrasive, microfibre cleaning cloth. A good quality example is offered by 3M but there’s plenty of others out there. This type of cloth is good at absorbing oils and hangs onto dust and grime. As an alternative to a pad, the brush is useful for two reasons. Firstly, it has a better chance of entering the grooves to remove dirt that lies within. Second, because of the nature of the fibre type, it drains static electricity which attracts dust in the first place. It’s a good thing to clean your record away from your turntable so that any dust and grime removed will be away from the playing area. Otherwise, you risks recontaminating the record again. 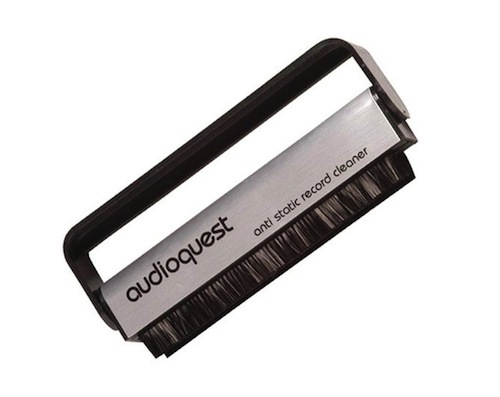 A common tool in terms of cleaning your records, this brush is very easy to use and, because it has a wide surface area, is table and covers more of your record. Place it on a rotating record and see the dust build, sweep it off the record and the rest of the broad pad traps the muck. Simple and easy to use. Replacement pads are £8.50 for a pack of two. The cleaning arm, and there’s several models out there, purports to clean as you play. 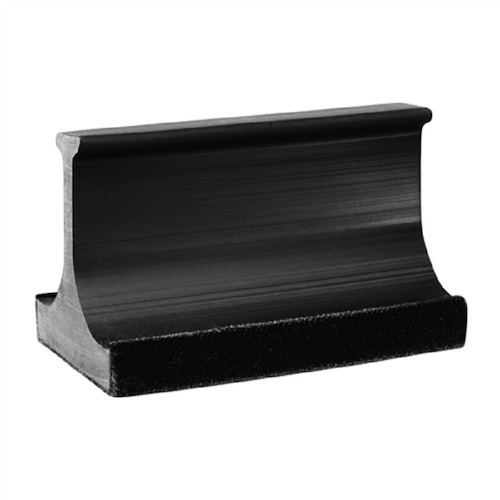 A small brush is fixed to the end that sits on the rotating record, removing dust before it hits the stylus as well as removing static. One of the better models out there. This ‘gun’ cleans by removing static electricity that sits around your record: which, in turn, draws dust and grime to the grooves. 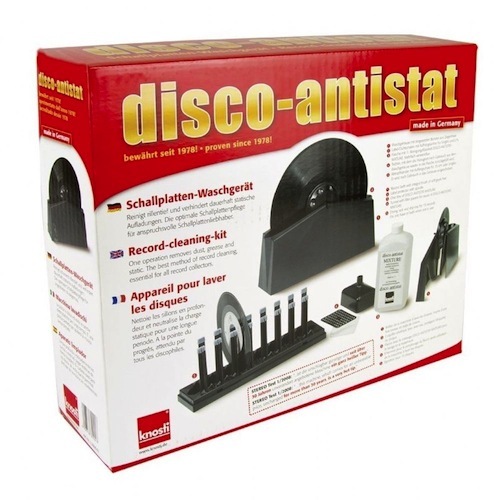 When you remove your record from its inner sleeve, if you hear the crackle of static as you do so or your sleeve clings to the vinyl then you are in real need of anti-static tools. Never needs replenishing, it’s a one-off purchase. 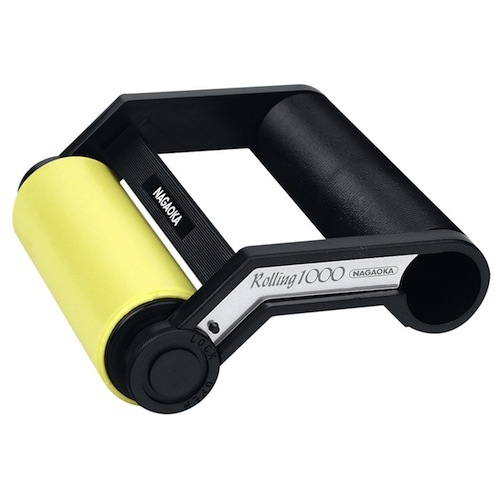 Uses a sticky roller which, when pulled across a record, lifts dust and grime from the upper surface and the grooves. The roller should never lose its sticky action. It can also be washed to renew it. Although no longer made, also check out eBay for unused ‘Pixall’ Rollers which operate on the same principle but uses sticky paper. The top layer is discarded when full of dust/grime, to reveal a fresh piece underneath. You can often find them for around £20-£30 each. The best manual record cleaner out there. You clamp a record between two plastic, screw-threaded discs featuring an axle of sorts, then hang the record in a thin ‘bath’ of cleaning liquid. You then rotate the record manually one way for several turns and then in the opposite direction whereupon brushes, submerged in the bath, gently ‘scrub’ the record. The record is then placed on a rack to drip-dry. A better design than the competing Spin Clean.